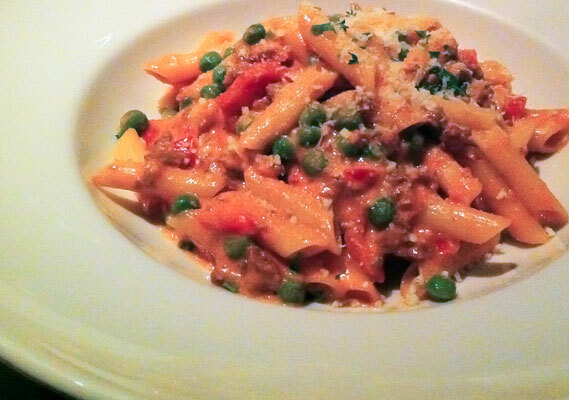 One of the few restaurants in San Francisco that offers gluten free pasta is BACCO Ristorante in Noe Valley. Their authentic Italian menu includes eight excellent pasta dishes and each sauce can be made with their organic gluten free linguine or penne pasta for $2 extra. Many other items on the menu including the daily Risotto special naturally do not contain gluten or can be modified to be gluten free. 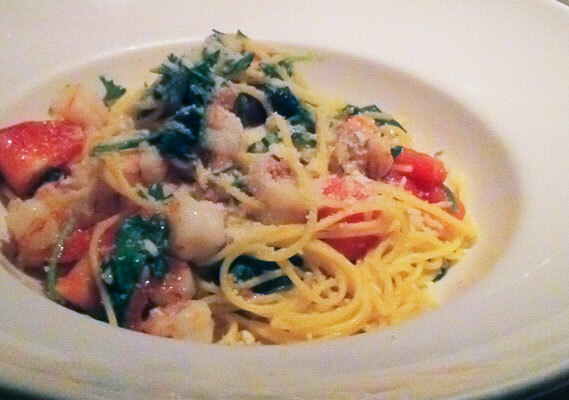 The somewhat pricey menu is worth every penny to enjoy a simple, classic plate of pasta in a romantic Italian cafe. Featured dishes: Rigatone (tube pasta, tomato, cream, home made sausage, roasted red peppers and peas) and Tagliolini (thin noodles with rock shrimp, fresh chopped tomatoes and arugula). Just a note, I went to Bacco a few weeks ago and was notified that the sausage is *not* gluten free. Otherwise very very tasty! Appreciate the update, I’m hoping their sausage recipe recently changed, otherwise the waiter I had was misinformed. I was promised this dish was GF…. Hate when this happens.